Spacious, updated & well-maintained condo with fantastic location! Open floor plan offers an abundance of natural light. This clean & beautiful unit features newer paint throughout; paneled doors, tile flooring in kitchen & bath; updated lighting fixtures including hardwired ceiling fan; and newer furnace & A/C. Updated full bath with newer tub surround, sink & faucets, plus large linen & storage area. Enjoy the outdoor space on the large, west facing covered patio, with lovely mountain view. Reserved parking space & storage locker in the underground parking garage. Nicely maintained building with elevator access, ample parking, work out room, and attractive courtyard area. 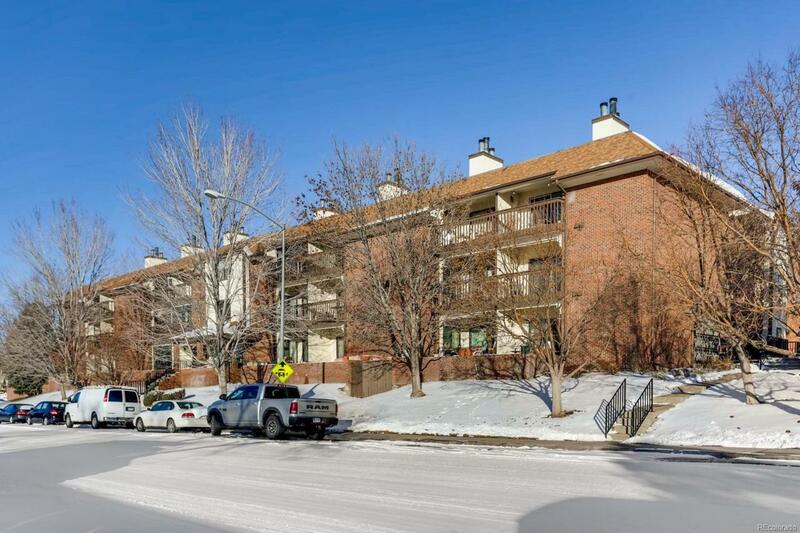 Fantastic location within walking distance to Cherry Creek State Park, Carson Park, RTD bus line, restaurants, retail, & 24 Hour Fitness. Just minutes to 9 Mile Light Rail Station, Meadow Hills Golf Course& I225. If you are wanting a move in ready home, make time to see this beautiful condo today!